Temples across North America are starting their Obon practices this month, so now’s the time to go break out your kachi kachi and start to plan out a summer full of Obon hopping! 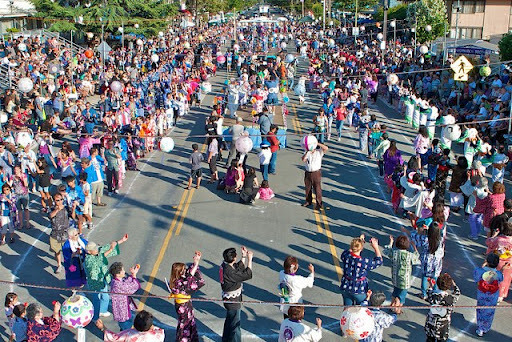 There are Obon festivals and bazaars all across North America in the coming months. You can keep track of them at Japanese City’s 2012 Japanese Obon & Bon Odori Schedule. I’m not going to list out the dates as I did in previous years, in part because I’m so lazy, but mostly because Japanese City does such a better job. They even have a map and list of the most popular festivals. Seriously: check out the map! If you’re in Hawai‘i, you can stay on top of the local schedules at the Dancing Fools Bon Dance Posse Facebook page. See you in the dance circle!